Home What's On ? 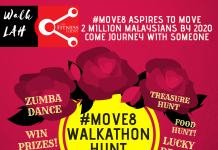 Upcoming Events KL Car Free Mornings x MOVE8, lah! 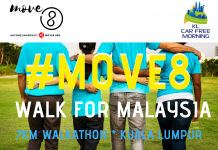 KL Car Free Mornings x MOVE8, lah! Living in bustling cities like Kuala Lumpur, we hardly have the opportunity to play on the streets like when we were kids. Playing skip rope, football, badminton, cycling and walking your dog down the street was a common scene outside urban housing estates and very much a thing of the past. 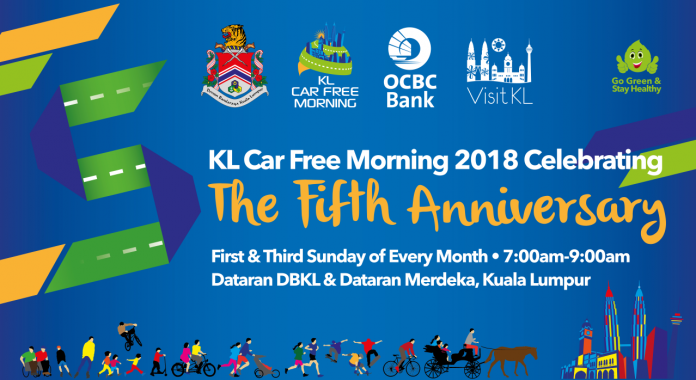 Kudos to the organisers, KL-ites can take their streets back for 2-hours every 1st and 3rd Sunday starting at Dataran DBKL 1, Jalan Raja Laut just beside the green Dataran Merdeka field over a 7-KM loop through to Jalan Sultan Ismail past KLCC Twin Towers and Jalan Ampang. 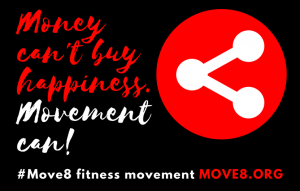 Join the Asia Fitness Today community at the MOVE8LAH dance flash mob movement this coming 1st July 2018 at 7.00am. 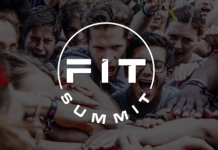 Participation is free upon registration. 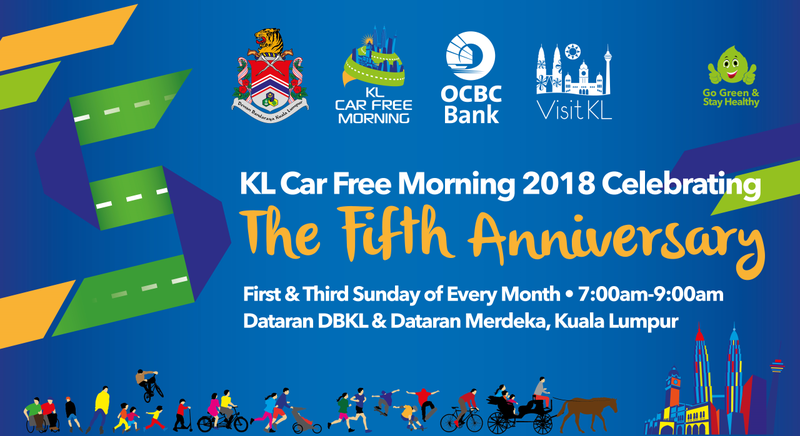 For more information, visit: http://klcarfreemorning.com.